After a long use, Android phone usually get heated. You can feel that by touching its screen and back side. It's not the case of smartphones only. Laptops and computers also get heated over time. As they are big in size, so the manufacturer provide a fan for cooling their processor but this isn't possible for mobile phones. Heating can happen in any electronic device. Although it's a normal thing but if your phone gets overheated every time, you've to take it very serious. This will affect your phone's battery life and it may explode anytime causing damage to your body and surrounding. In this tutorial, we'll discuss on how to cool down the Android phone when its get overheated. But before that, you should know about the reasons why this heating happens. Why Android phone get overheated? Did you noticed when your phone actually get overheated? In most common cases, it do so when you play games, watch movies, surf Internet, call and charge it continuously for a long period of time. So basically, we can say that it get heated whenever it performs some heavy tasks which needs more energy. You may also find your phone heated when you put it in hot atmosphere like under the sun. There is no specific reason for overheating. It can be due to faulty battery, CPU overheating or due to some other internal factors. Now lets recall the current & electricity chapter that you had learned in your school days. As we all know that energy is conserved but some of its part is lost to the surrounding. The power dissipation is large when you play games, watch movies and surf Internet and due to this reason, phone gets overheated. As time passes, the internal resistance of phone's battery increases (it's natural) and due to which, more energy is consumed to overcome this resistance. To provide continuous flow of energy, it speed up the discharging of battery and that's why it get overheated. This is also the reason for short battery life. Here are some essential tips which can help you to cool down your Android phone when it get overheated. Are of one of those people who always keep their phone on charging? Well it's very dangerous and specially if you left it for charging whole night. Overcharging is one of the major reason causing phone overheating. You should avoid this mistake otherwise, it may damage your phone battery life. While charging, battery absorb energy. Excess of energy will be dissipated from it and this causes heating. Continuous charging can also explode the battery and it may damage your body and anything in contact with it. Over last few years, many complaints had been filled against this. Well, it's the manufacturer fault but little prevention can avoid you from such a big tragedy. Another important thing to remember is that, don't charge your phone to get 100% battery. Keep it around 80% only and don't use your phone while charging. Turning off the phone can be a good solution to cool down the heating instantly. The reason is very simple. When phone is switched off, there will be no battery usage by the screen, apps, Internet and other things. Thus no heat will be dissipated. You can also turn it off while charging. This will boost up the charging speed and keeps your battery healthy, safe and long-lasting. Just try this method and feel the positive changes. Apps are another important thing which cause heating in Android phones. The more apps you have, the more heat it will produce. All applications needs some free space in RAM to do their works. If number of apps will work at the same time, this will increase pressure on CPU and it will result into heating. It would be of no problem if apps will work in queue but in actually, they work at the same time and work even in background when you're not using your phone. To solve this problem, you can uninstall all those apps which are no longer in use. I usually check my phone to find such useless applications and uninstall them to free up the memory space. Facebook, Instagram, Flipkart and other news apps are the main culprit. They eat unnecessary space. It's better to access their website directly from your primary browser instead of using their app. You can free up some RAM space by deleting cached data. To do so, go to "Settings > Storage" and then click "cached data" option followed by OK button. Experiment and studies show that using Internet for a long time will increase your phone heating. 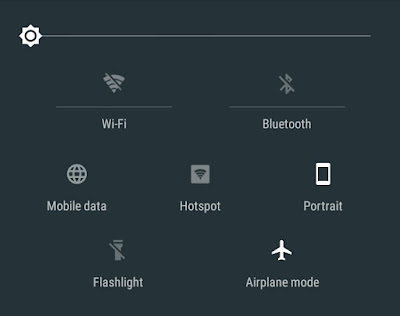 You should turn off all useless things like Wi-Fi, mobile data, NFC, location, bluetooth and hotspot when they aren't in use. I had seen many people who keep their mobile data turned on every time. All these things are used to send and receive signals which are the worst battery enemy. When signals are low, your phone will try more hard to get good input which will result into heating after some time. So it is advised to keep your phone in place where signal quality is good. Screen brightness is another important thing which cause heating. Although low brightness isn't good for eyes but keep it at average level so that it will be good for your phone health also. Don't use flashlight and camera for a long time. Android phone get overheated when it comes in direct contact with external heat. Conduct a simple experiment. First put your phone under sunlight and then feel its temperature. After some time, put it in normal temperature for the same time period and then again note down the temperature. Results will speak itself. The first one will get heated while the second one will remain normal. You should avoid to keep your Android phone in hot place where the temperature is high (for example, more than 40 degree). Whenever you find your phone overheated, immediately put it in cool place like under the AC or cooler for few minutes and it will automatically get cooled to its normal temperature. Don't put it in fridge otherwise, it may freeze and stop working (lol). Android phones are good to watch HD videos and they can even play high-definition games like NFS, Temple Run etc.,. But as already mentioned, playing games and watching videos for a long time will increase your phone heating. This is because, games and videos require high memory space and graphics to work smoothly, which increase CPU load and consume more battery life and thus it get overheated. So do you need to stop playing them? Well this could be the only reason why you bought Android device and if you'll not play them, it may be of no use for you. Try to play light-weight games which are small in size. While playing them or doing other similar activities, you should give a few minutes rest to your phone so that it can cool down by itself. Turn it off or simply lock it and put it in cool place. If the problem is serious, you should test your phone at its service centre. They have more advanced tool to test and they can tell you the actual cause of problem, its origin and how to get rid of it. Also test its battery and charger. Sometimes, using local peripherals are the main cause of overheating. For example, If you'll use local chinese charger, it may damage your phone battery life and cause unnecessary heating. You should use original company products only. If your phone is in guarantee, get a new piece, if possible. Last but not least, try to replace your old Android battery and its charger with new one but again make sure to get the original and same company product only. In most cases, faulty battery and charger are the main cause of overheating. If your battery is thick or bulged from the middle part, immediately replace it. If your battery is internal or non removable, go to service centre. 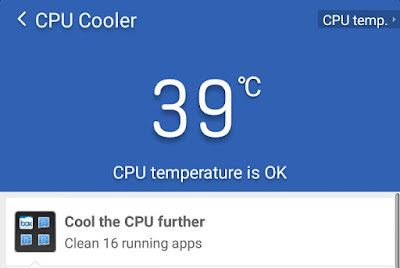 Use third-party apps: There are plenty of apps available on Google Play Store which can kill unnecessary tasks/apps that works in background and cool down the CPU overheating automatically. Such apps also claim to boost charging speed. Good examples are Clean Master and Coolify. Remove phone cover: Your phone may be suffocating due to its cover. They are generally made up of plastic and leather material which are good insulators and prevent heat to pass through them. It's better to remove them whenever possible. Remove viruses: Viruses generally cause CPU overheating because they work in background and put unnecessary load on CPU. You should regularly scan your SD card and phone memory to remove malware for it. Also, don't install apps from unknown sources. 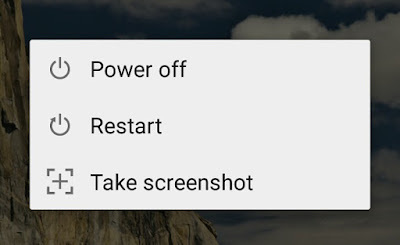 Use Safe Mode: You can reboot your Android phone in safe mode which will disable all third-party apps and widgets. 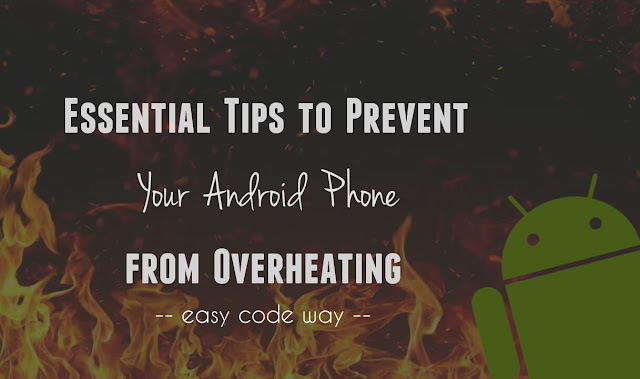 By following these simple tips, you can easily avoid your Android device from overheating. If I had missed something, share it in the comments. Are you affected by this problem? How do you prevent smartphone overheating?